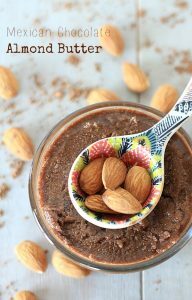 You are here: Home / Pregnancy / 8 Great Almond Recipes–Plus Why You Should Eat Them When You’re Pregnant! Seeing as I’m a big fan of all nuts, I thought I’d contribute my wisdom on almonds and help you eat more of them. In a nutshell (pun intended) here’s, why everyone should eat almonds. Almonds may improve insulin sensitivity in people with pre-diabetes. How can that help during pregnancy? 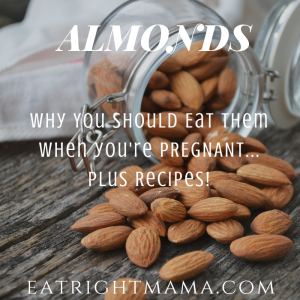 If you are at risk for gestational diabetes, this could give you a slight edge, especially if you eat almonds. How can this help during pregnancy? Blood pressure disorders during pregnancy can lead to preeclampsia and eclampsia, a potentially fat disorder. High blood pressure during pregnancy can impair the growth of the fetus. Almond skins contain flavonoids and phenolics similar to other foods. A one-ounce serving of almonds contains a similar amount of total polyphenols as one cup of green tea and one cup of steamed broccoli. See the study here: Almonds and pistachios are the only nuts with flavonols like quercetin. That’s the same phytonutrients that are in wine, chocolate, etc. Extract of almonds have shown to protect DNA from damage. (This is especially important for men when trying to conceive.) Want more info? Check it out here. Antioxidants reduce oxidative stress, which is the cornerstone of many pregnancy problems including preterm delivery. Now let’s get to the RECIPES! Thanks to these fabulous Registered Dietitian colleagues who have shared their recipes here! First up, breakfast. You know you need it, but you may not always want to spend the time on it. 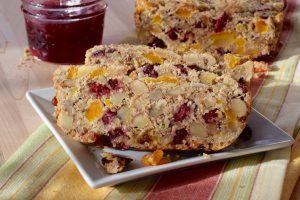 Enter quick breads that are healthy. Make ahead for a yummy grab and go. 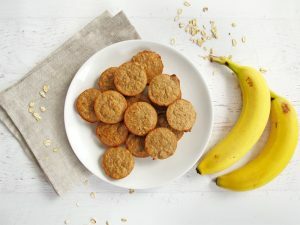 Top with some almond or peanut butter and add a glass of milk and you’re good to go! Also makes a great snack! 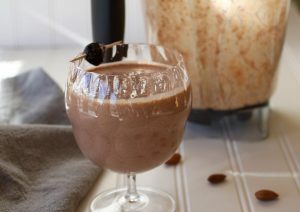 Go “ancient” with this Chocolate Cherry Amaranth Smoothie from Judy RD at Live Best. Fish is truly brain food. So salmon and other cold-water fish are “musts” during pregnancy. 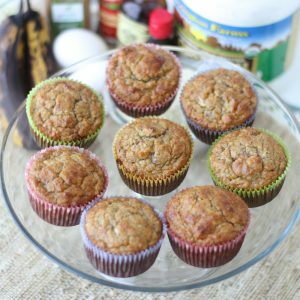 Try this recipe, which uses ground almonds for a crispy coating. Got salmon? 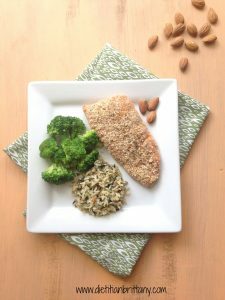 This Almond Crusted Salmon from Brittany at Your Choice Nutrition is sure to please! More to love: Almond + Cinnamon + Chocolate! From The Spicy RD. Got the “queasies”? 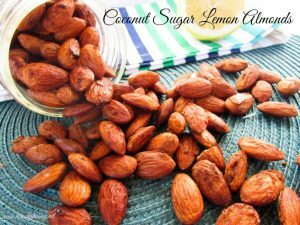 These lemon almonds might help. From Kelli at Hungry Hobby. Healthy Seafood Recipes for Pregnancy and Beyond! 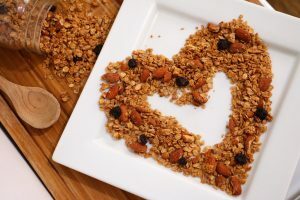 « Five Things You Can Do TODAY to Cut Your Heart Disease Risk! Just wanted to tell you how much I love all the recipes and tips you post. I like what you guys are up too. This sort of clever work and coverage! Keep up the great works guys I’ve included you guys to our blogroll.